It isn’t embellishing when someone tells us they feel this music. The truth is that good music can touch a person’s soul and even for a moment, they help us to forget our worries and probably lift us to another world where pleasant memories are being recalled. It’s stated that music touches us emotionally, and it moves us where words alone fail. We all love music and while being aware of that, MP3 juices came into existence, acting as a music search engine that automatically curates millions of songs from multiple online sources and present it for users to download for free. Now as a very curious person, you must be wondering how such services are been offered for free and whether it’s legal or not. Well in this article, we will clear all your doubts. 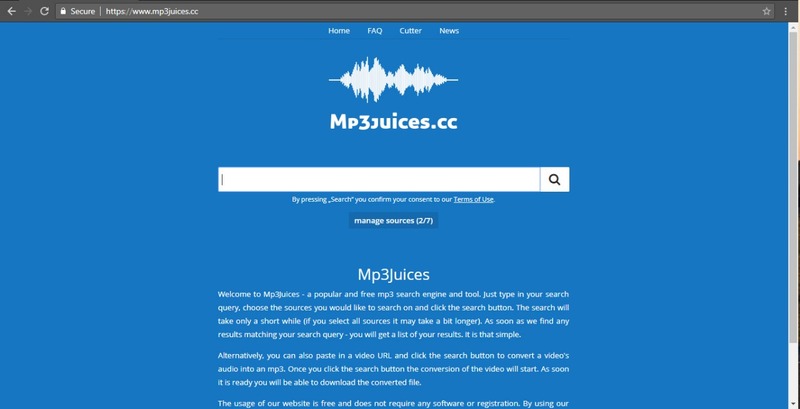 MP3 juice is undoubtedly one of the most popular music search engines that curates songs from multiple online sources such as VK, YouTube, SoundCloud, Archive, 4Shared etc; and present it for users to download as an MP3 file – all for free. On a positive aspect, one may think that MP3 juices is legal, considering the fact that they have the so-called contact us and copyright infringement page. But do they have the permission to show all those songs? The answer is NO!. My first visit on MP3Juices.cc was quite a good one, (I won’t deny it). There, I was practically looking at a site that offers an easy to use interface. Upon entering the name of the song I was looking for, I was overwhelmed with the search results. But something fishy happened when I clicked the “Download” button. A new window opened suddenly, trying to sell me to a malicious website that says i have tons of virus on my device. Every attempt to go back proved abortive, that was when it dawned on me that the download button was actually an ad by some unscrupulous advertisers. From this experience, I instantly combined two and two together and came up with how MP3Juices makes its money. The service itself is totally free as they didn’t ask me to download any software, but what they did wrong was to allow advertisers who are contemptuous of what is right or honorable to use dodgy tactics to try to infect my device with viruses. I almost fell for the trick, but soon realized it was a sham. So I’d hope from this story, that you won’t be tempted to pay for some promo or get rich quick scheme when the ad pops up. So Is MP3 Juice Legal? You’d know it’s a crime to help users find unauthorized copies of copyrighted music right? That is exactly what MP3 juices is doing. The site itself has been specifically coded to find both royalty-free and non-royalty-free songs, and you will need to agree with me that most of the songs on YouTube and SoundCloud don’t fall under the public domain. So when you head over to MP3juices.cc and download a copyrighted music, you are committing an offense which MP3Juice is a part of. Also Read: Honey Chrome Extension Review: Is It Safe? A question such as whether if MP3Juices is legal or not does not need two answers, it’s either you say YES or NO. For some, they’d tell you that an MP3 download site is legal when you’re downloading non-copyrighted songs that are freely available and illegal when you’re downloading songs that you do not hold the copyright to. These answer seems quite weird, so we’ll clear your doubts from here. MP3Juice isn’t legal, in fact, it is an illegal website. If they had made few changes to there codes to show royalty-free songs only, they’d be listed or considered legal and safe, but the case sadly isn’t so. They say the best things in life are free and as humans, we often go for the free stuff. I am totally not against using MP3Juices since it has helped a lot of people to find and download songs for free. But you will need to be wary of where the site directs you to. If you are among the folks that are afraid to indulge in any illegal activities, then you can patronize YouTube, Spotify, SoundCloud and Amazon music for all your music needs.